Save the Arts in America! See the complete roster of this blogathon here. When you hear the name Claude Rains, what comes to your mind? A famous voice, a chilling laugh, a pair of slightly wandering but piercing eyes, a thick head of curly brown hair? Whatever this famous name means to you, be sure to read on and see how I, Rebekah Brannan from the Pure Entertainment Preservation Society (PEPS), am honoring this wonderful actor of the Golden Era on his 129th birthday! On November 9-11, the three days surrounding Claude Rains’s birthday, PEPS will be hosting a blogathon to celebrate this brilliant star of the Silver Cinema. We acknowledge that the day following his birthday is Veteran’s Day, which celebrates the end of World War I, and we consider this very apropos, since he served dutifully in the Great War, sustaining permanent injury to his eyes and vocal chords due to a gas attack. We respectfully submit this blogathon as an honor to this man as both a great actor and a heroic soldier. I am putting no limitations on duplicates. Although Mr. Rains did make a great many films in his long career, there are a select few that are particularly famous and beloved, which I’m sure several people will want to review. Although Mr. Rains did do a good deal of work in the media of stage, radio, and television, I wish to limit this blogathon to his film career, since PEPS predominately celebrates the cinema during the Golden Era. Because PEPS’s main goal is to celebrate and spread the word about the Code and the wonderful films it produced, we ask that you please keep all articles Code-compliant, even when discussing a film which is not. Here are the banners for the “Claude Rains Blogathon,” all of which feature a photograph from a film in which Mr. Rains played the title character. Please select one and include it in your article. Please use these banners to advertise the blogathon on your website! This banner features the last shot from Claude Rains’s first film, The Invisible Man (1933); this is the only shot in the entire film where he is seen. This banner features a shot from the film Here Comes Mr. Jordan (1941); it is from the scene in which the angel, Mr. Jordan (Claude Rains), tells Joe Pendleton (Robert Montgomery) that he must leave the body of Bruce Farnsworth. This banner features a shot from the film Phantom of the Opera (1943); it is from the film’s climax, shortly before Christine DuBois (Susanna Foster) removes his mask, revealing his acid-scarred face. This banner features a shot from Mr. Skeffington (1944); it is from the scene on a ferryboat after Fanny Trellis (Bette Davis) and Job Skeffington (Claude Rains) have gotten married. This banner features a shot from the British film Caesar and Cleopatra (1945); in this scene, Caesar (Claude Rains) prays to a sphynx, shortly before meeting Cleopatra (Vivien Leigh). Please help us to make this blogathon a success by joining and displaying one of our banners on your website to advertise it! Also, don’t forget to join and advertise the Second Annual Great Breening Blogathon, which is coming up soon, on October 12-17! Join The Second Annual Great Breening Blogathon! Follow us to bring back the Code and save the arts in America! We are lifting our voices in classical song to help the sun rise on a new day of pure entertainment! Only the Code can make the sun rise on a new day of pure entertainment! Hi Tiffany and Rebekah. Unfortunately, I’m not going to have time to write about all of Claude’s collaborations with Bette Davis as initially anticipated. However, I still want to take part. I’d be happy to write about “Now Voyager” instead. Also, I’m really sorry for not being able to get my article completed for your “Great Breening Blogathon”. I’ve been under a strict deadline with my studies, and haven’t been able to do the blogathons that I would like. Thank you for letting us know about your change in topic. I understand that you’re under time restraints, so a simple review of “Now, Voyager” will be greatly appreciated. It is a great film and features brilliant performances by both Mr. Rains and Miss Davis. Also, we completely understand about the “Great Breening Blogathon.” We are glad that you can help us celebrate Claude Rains’s birthday, and we look forward to your joining us in future blogathons. I will change your topic on the roster and l look forward to receiving your article. Thank you Rebekah. My article will probably be late, but I will submit it to you asap. Looking forward to it. 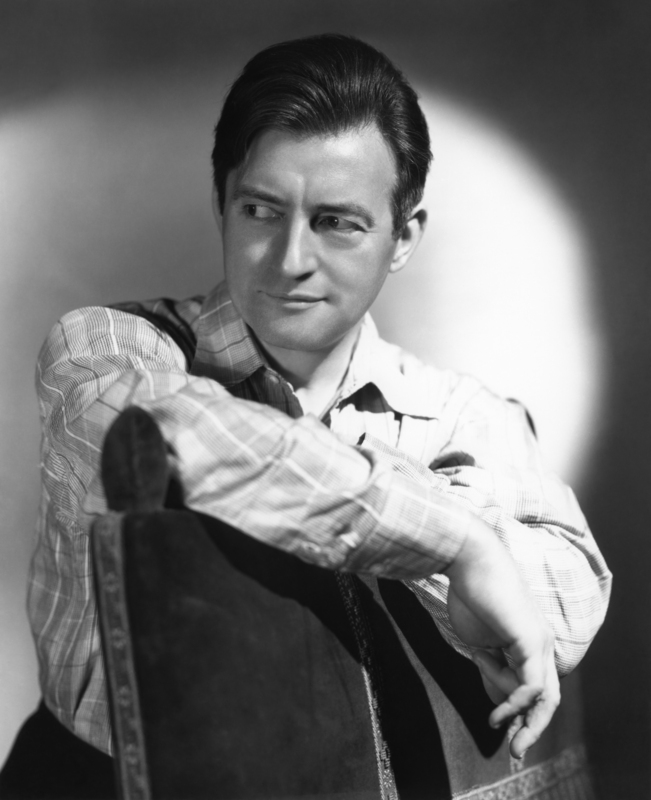 Claude Rains is a great actor who deserves to be honored with this blogathon tribute. By the way, I’m co-hosting another blogathon, and I would like to invite you to take part. Here is the link below. I have made my decision and will write about The Unsuspected, where Claude plays a popular radio host who has a deep, dark secret. I have heard about that movie, but I’ve never seen it. It sounds like a wonderful topic choice! We look forward to reading your article. What a wonderful blogathon topic—one of the great actors, who graced everything he appeared in, and a huge personal favorite. Would love to participate, I’m just trying to get back to blogging after a sustained period of challenge from chronic illness…. Would it be all right to write a personal appreciation, sort of a love letter to him? I’d like to talk about him, his bio, some specific favorite roles, and thoughts on his career and contribution to movies. Some films I would discuss: Notorious, Now, Voyager, Mr. Skeffington, Casablanca, Four Daughters. Would love to discuss both his villains and his good guys, how he played both utterly convincingly. I’m so glad that you like the topic. My sister, Rebekah, and I decided that it was time to give Claude Rains a much-deserved blogathon. We would love to have your talent in it! You sound like you really appreciate this wonderful actor. I will put you on the roster with the topic of “Tribute to Claude Rains.” We look forward to reading it! We hope that you feel better and enjoy getting back to blogging. Thank you, Tiffany and Rebekah, for the warm welcome! If it’s not too much trouble, could you call my entry “Love Letters: Dear Mr. Rains”? I’m thinking of Judy Garland singing “Dear Mr. Gable,” and hoping to start a new feature on my site of more personal pieces on movie folk who have particularly seized my imagination and affections. Looking forward to reading all the entries, thanks again. That’s a good title. It sounds like a good series! I’ll use that title in the roster for you. Thank you, and have a good weekend yourself! Hi both. It’s a bit early, but here is my tribute to Claude. Thank you for posting early! What a lovely article. You wrote some really sincere, sweet, and heartfelt things about Claude Rains with which all we fans can identify. I will include the link in the announcement roster for now. When I publish the roster article on November 9, your article will be the first! I tried posting a message several days ago concerning the Blogathon but I think that it must not have gone through. I would be happy to submit two articles that I did last year on 2 Claude films: ‘The Passionate Friends’ & ‘The Phantom of the Opera’. Thank you so much for wanting to join our blogathon! Unfortunately, I didn’t see that other comment you left. I have been having problems with WordPress. I am glad to know that you want to join! Those are wonderful movies! If you could perhaps republish the articles during the days of the blogathon with a link to our website and a banner, that would be wonderful! Shall I put you down as Poppity of Film Exodus? 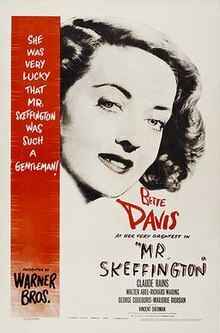 Can I do Mr. Skeffington (1944), Angel on my Shoulder (1946) and Twilight of Honor (1963)? Of course! That’s wonderful! Thank you so much for joining. Those are all wonderful movie choices. We look forward to reading your articles. That sounds wonderful! I recently watched “Mr. Skeffington” for the first time myself. I really loved it, so you should enjoy it, too. By the way, I saw that you included my article in Genre Grandeur. Thank you very much for that! I’m thinking about participating in your November month. That’s a great topic! I just had a question. My sister, Rebekah, is writing about “Phantom of the Opera” from 1943 for our Claude Rains Blogathon. The Phantom is a violinist and a pianist. Could that article count as participation in Genre Grandeur if we included a link to your website? Hi Tiffany and Rebekah. Hope you are both well. I would very much love to join this. Could I write a tribute to Claude please? Thank you so much for joining! We are so glad to have you join. We know that your talented writing skills will be wonderful in a tribute to Claude Rains. We’ll put you on the roster. Rebekah and I thank you for your good wishes and hope that you too are well. Hi, Tiffany! Please put me down for Deception. I think it’s an underrated film and would love to write about it. Thanks! I’m so glad that you finally got my comment. I am looking forward to the blogathon. Thank you for letting me join. Thank you so much for joining the Claude Rains Blogathon! We can’t wait to read your article on deception. We’ll put you on the roster right away. This feels like a really beautiful Blogathon, that too on Claude Rains. I would love to take part in. But I’ve been very sick this month, I still am. So it’s hard to say anything at the moment. Closer to the date I shall let you know, if am well enough, to work on something. Your sister, Tiffany, sent me this link. Am hosting a Bloagathon this month (though not taking part in it). If you can join, it would be lovely!! More the merrier. You are welcome to do as many posts as you like, so long as it’s within this month. Specific dates for the Blogathon are 20th – 22nd, but you are welcome to do posts till the 31st. Tiffany will be working on Joseph Breen. Hi Tiffany. I love Claude Rains. I would like to write about Claude Rains collaborations with Bette Davis if that’s okay? We are so happy that you want to join! It is perfectly acceptable for you to post your article any time prior to the actual dates of the blogathon. We will link to your article during the actual blogathon. You chose a very interesting film! By the way, is your website http://midnitedrive-in.blogspot.com/? I am really busy, especially during NaNoWriMo (which is in November) but Claude Rains is such a great actor that I can’t resist participating. I’d like to write about his role as Prince John in The Adventures of Robin Hood. Thank you so much for joining! We are honored to have you. We’ll put you down on the roster for “The Adventures of Robin Hood.” We look forward to reading your article. Good luck with your other endeavors. Hi, ladies! I was browsing around your blog and saw this–what a great idea. I’d love to do “Here Comes Mr. Jordan,” if that’s OK. Thank you so much for joining! We are so glad to have you. “Here Comes Mr. Jordan” is one of our favorite films with Mr. Rains. We can’t wait to read your review! We’ll put you on the roster right away. Put me down for “Four Daughters” (1938)! Thank you so much for joining! I’ll put you down on the roster. Just to be clear, could you please give me the name and URL of your website? By the way, that film is a great choice! I would love to do The Invisible Man. Great idea for a blogathon. Claude Rains deserves it! Thank you so much for joining! We are so happy to have you. “The Invisible Man” is a great choice. We’ll put you on the roster with that selection. Thank you again for joining! I’ve been busy with re-entering my career, teaching, and a Claude Rains Blogathon is the perfect way for me to get back into blogging. Sign me up! Thank you so much! You are our first joiner. We will put you down as “To Be Announced” until you think of a topic. We are so glad that you are participating! – – – Visit our sister site – – – The L. A. Soprani Sisters! Past Glory: The Claude Rains Blogathon! The Second Annual Great Breening Blogathon! A Month to Make Us Miss the Code! A Month-Long Celebration of the Code! Rebekah’s First Blogathon, Honoring Jeanette MacDonald and Nelson Eddy!